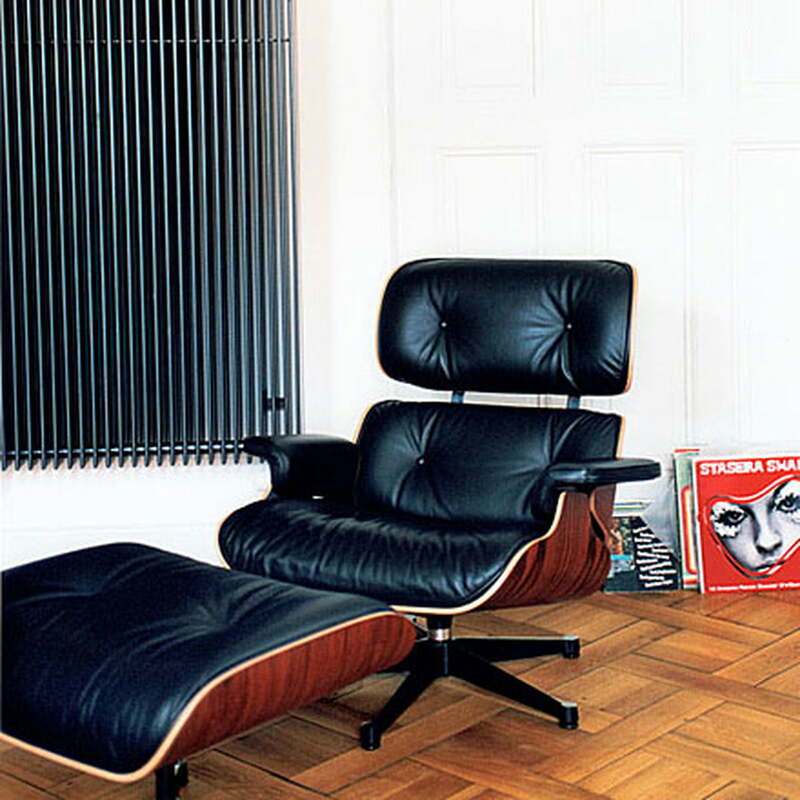 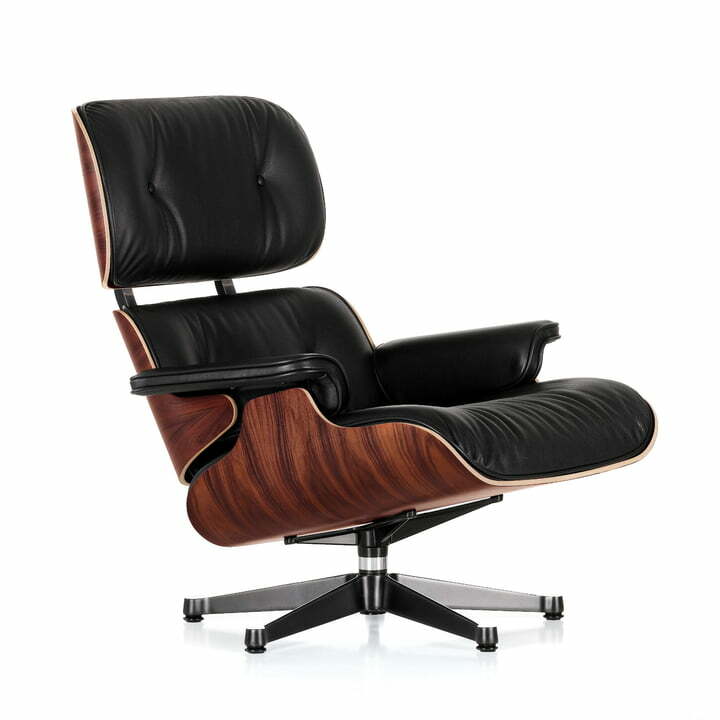 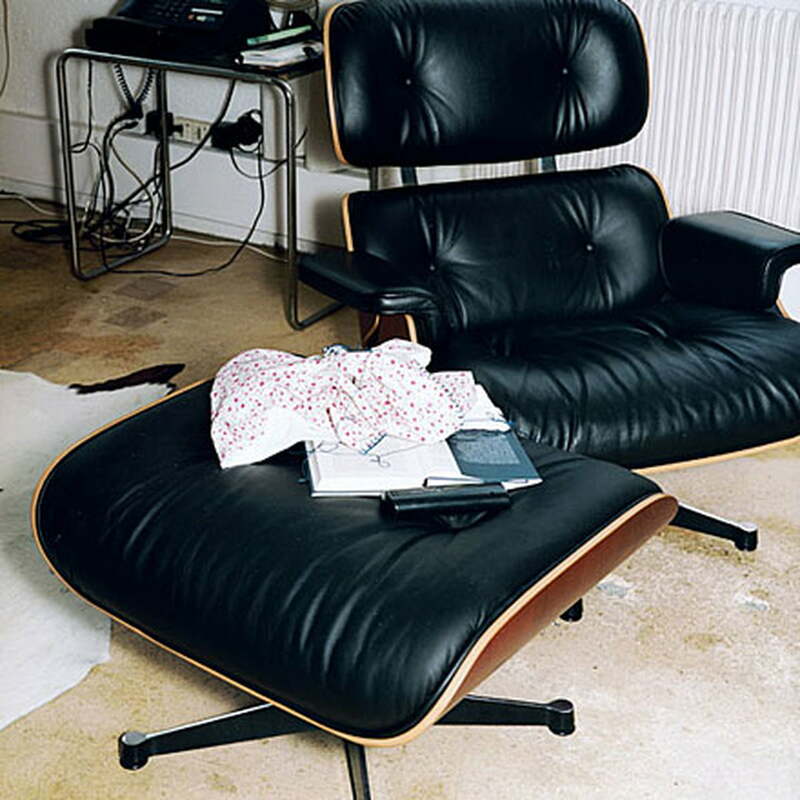 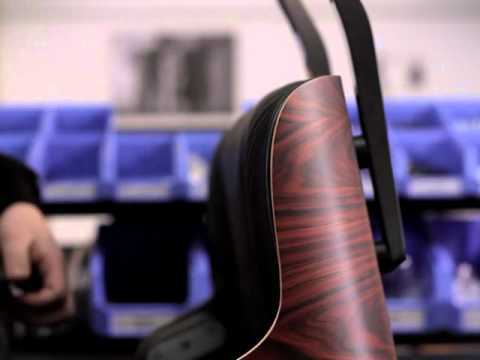 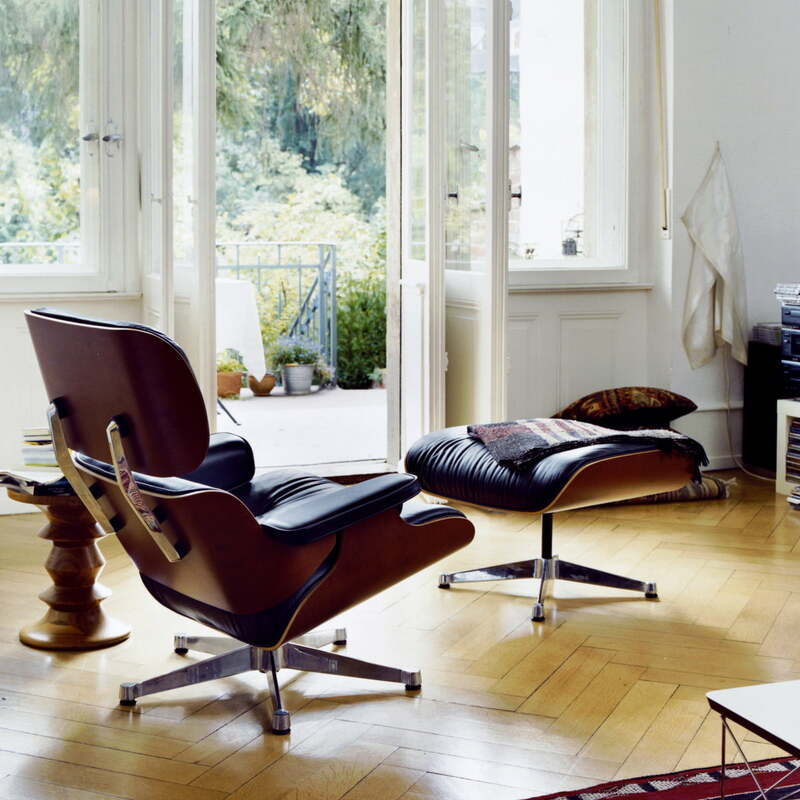 The Eames Lounge Chair’s base is available in an either chromed or polished version with black sides. 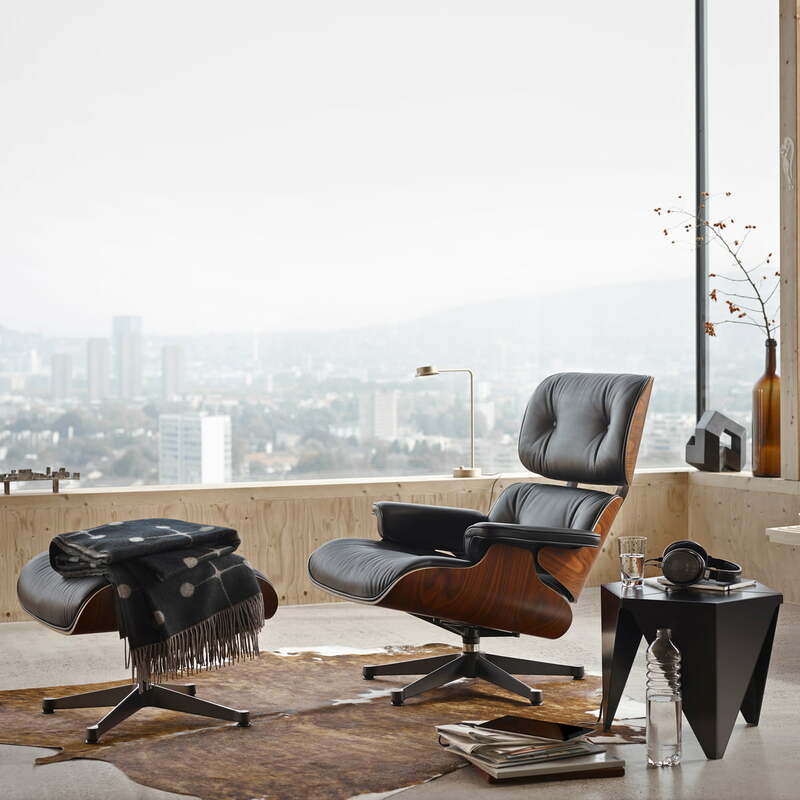 No matter what you decide: all combinations fit perfectly together. 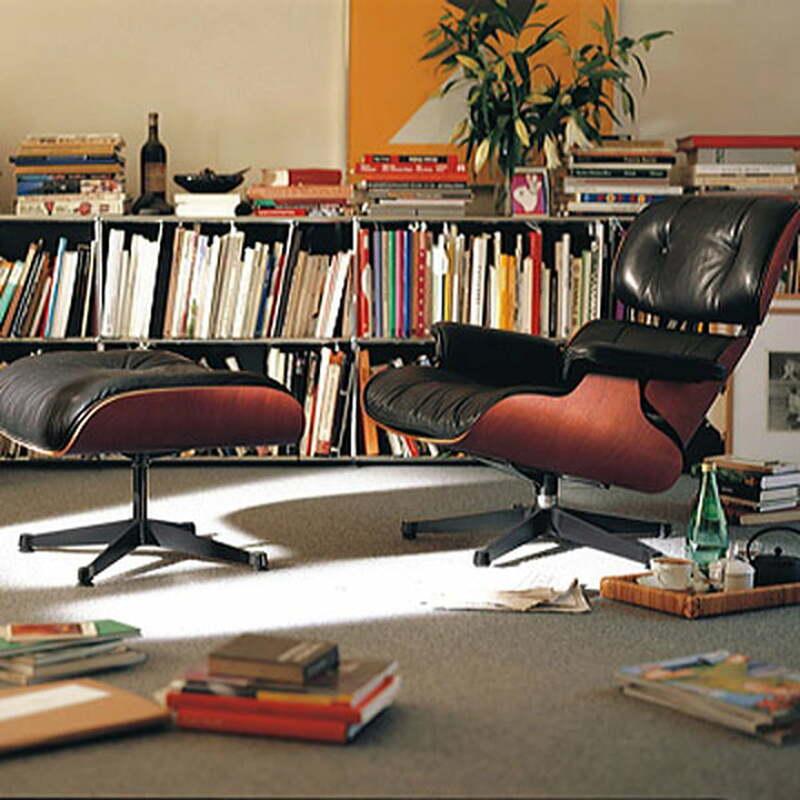 Matching to the Vitra Lounge Chair, an extra Ottoman is available in the same colour. 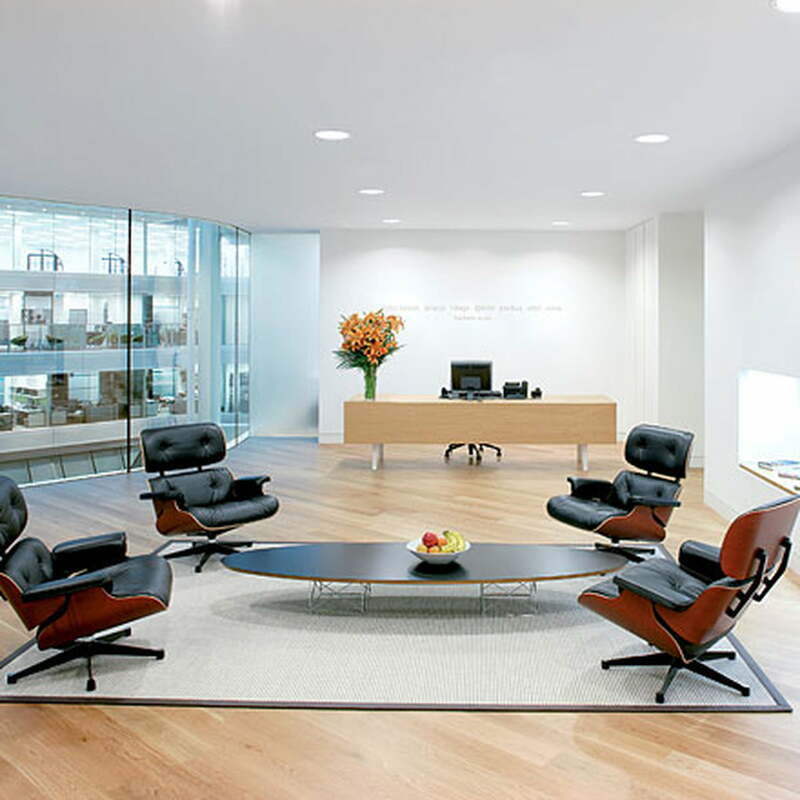 Single image of the Vitra Lounge Chairs in Santos rosewood with black leather and polished frame with a new total height. 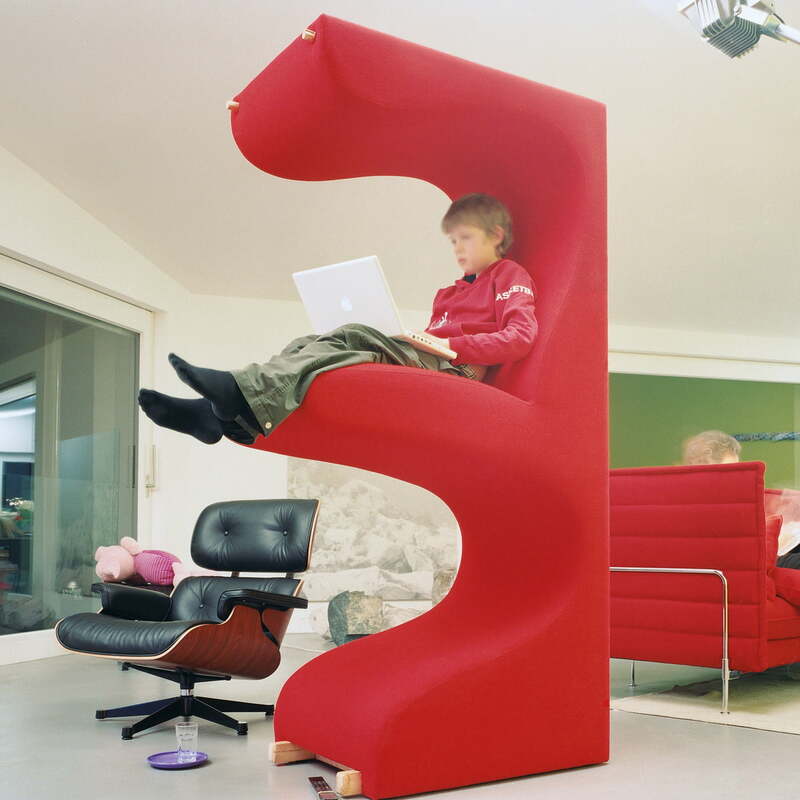 Adapted to the new average size, this variant is 5 cm higher than the classical model.